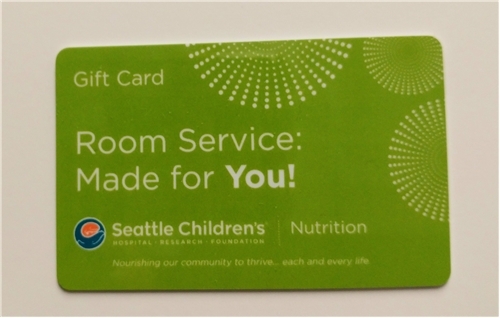 A $25 electronic debit card for families and friends to have meals delivered to a patient's room. Perfect gift for a parent/care giver. This gift card is valid for Room Service purchases only. Please purchase Ocean Café gift cards separately.